He found a match for his mate. 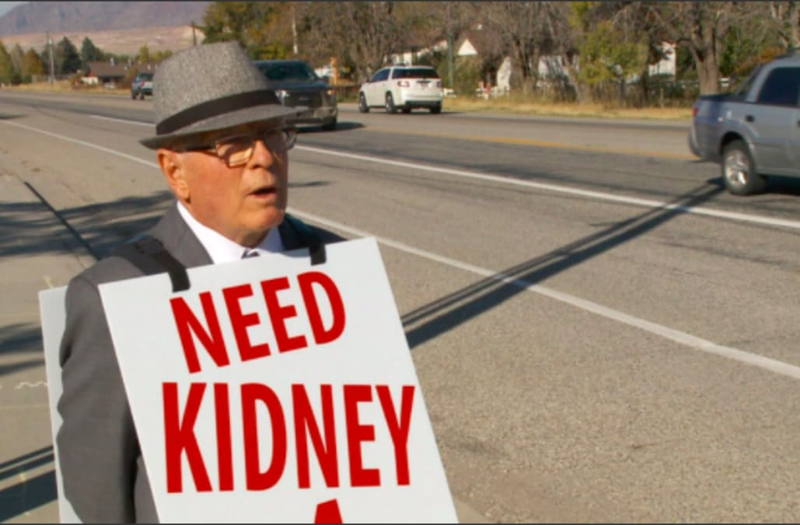 Following a personal campaign that saw him trudging along busy roads for miles wearing a sign that read "Need Kidney 4 Wife," a Utah man's mission to have just a little more time to spend with his wife looks to have been a success. "If she can have a good five years, that would be awesome,” Wayne Winters told KTSU. “We can have our life back." Three weeks ago, the tenacious 74-year-old made a desperate bid to find his wife of 26 years, Deanne, a donor by donning a sandwich board with the simple message, her blood type and a phone number to call. When video of Winters first aired on Fox 13, the couple got overwhelmed with hundreds of calls, but it wasn't until this past Sunday that they got the one they were waiting for. It was the hospital, telling them that a donor had been found, ending Deanne's two-year presence on a waiting list. "I was just so overwhelmed," said the Farr West man. "I didn't know what to think." Winters has since pledged to keep wearing the sign to see how many more people he can get to become kidney donors in general. "Think about it," he said. "We could start a kidney revolution, and that would be so great." Sadly, this wasn't the first time a husband has had to literally go to these lengths to try and save his spouse's life. In 2012, Larry Swilling of Anderson County, S.C., put on a nearly identical sign and walked around his neighborhood to find his wife a kidney, leading to a donor match. Winters said Swilling's story inspired him to try it himself. The average wait time for a kidney is three to five years.